As part of their Language curriculum, the students had word study lessons. 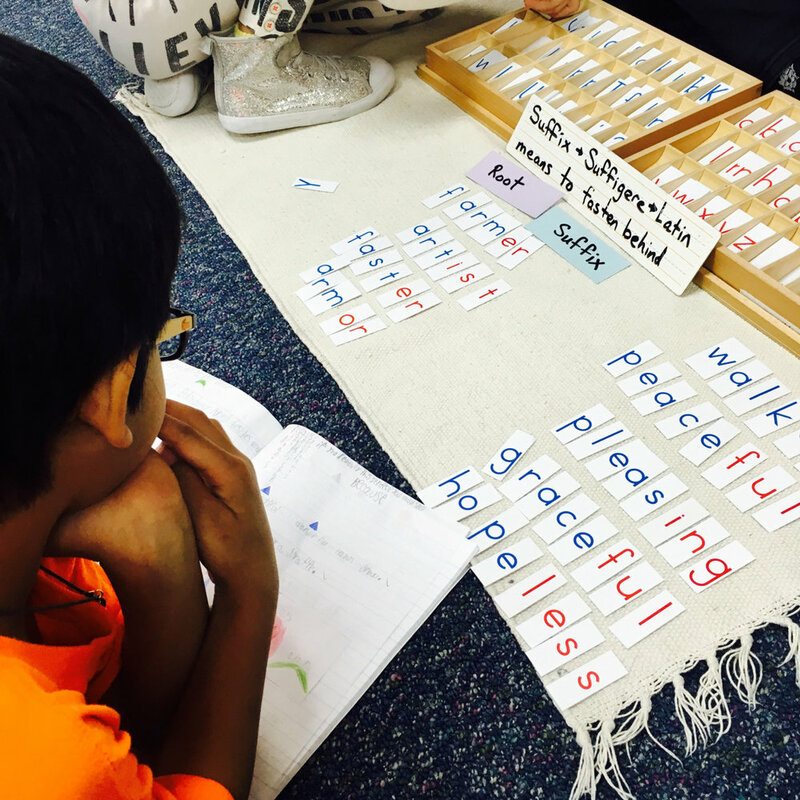 A first year Lower Elementary West student worked on the follow up to his lesson about suffixes. The second grade students worked on a synonym follow up lesson, and third graders worked on homonyms.